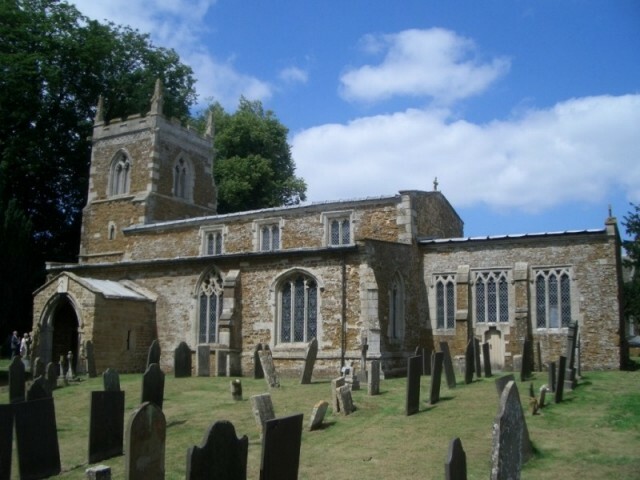 Goadby Marwood is one Leicestershire's most beautiful villages, situated a few miles from the Vale of Belvoir. Most of the houses are built from locally mined ironstone and some date from as early as the 1600s. One of the major attractions is its quiet and very rural situation. There is only one road in, and out, of the village, although a few deranged visitors have been known to venture through to Wycomb via the gated road in the bovine dominated field at the bottom end of the village. No record exists of what became of them. The village has no pub or shop, and even the Post Office, which used to open for at least 2 hours a week, is now closed for ever. If life's fast lane, clubbing and anything-goes parties are your thing then maybe Goadby Marwood isn't for you - but please don't let that prevent you from telling me where I can find them. The village is a wonderful place to bring up children, although teenagers might find the lack of transport facilities frustrating - even though the reliable mum-and-dad taxi service is always on standby.